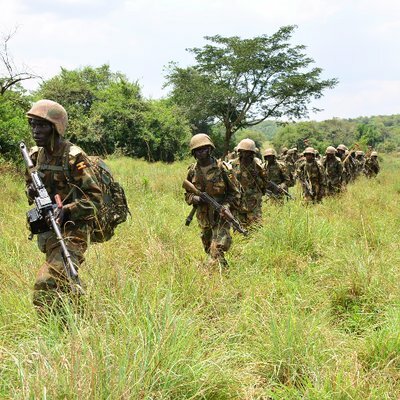 APAC – The Uganda People’s Defence Forces (UPDF) has defended the deployment at Maruzi Ranch in Apac district and denies allegations of forceful eviction of locals from their land. Since last week, soldiers from the 5th division have been deployed in Maruzi Ranch and over 400 families have been evicted apparently to pave way for palm oil growing. The locals, however, claim that they own the land, while the government version is that they were squatting on public land. But Capt. Lawrence Draga, the UPDF 5th Division spokesperson, denied the soldiers were in the Ranch to evict the locals. He equally denied the army used teargas on those who attempted to resist eviction and also intimidated the locals. Captain Draga says the land at the centre of the controversy belongs to government while a section of residents whose private land was taken have been duly compensated. But Ronald Agel, a resident of the area says they have lived on the land for decades and wonders why government is coming in now to evict them. Makmot Kibwanga, a lawyer in Lira, in an interview, castigated the eviction calling it unlawful and a gross violation of human rights.